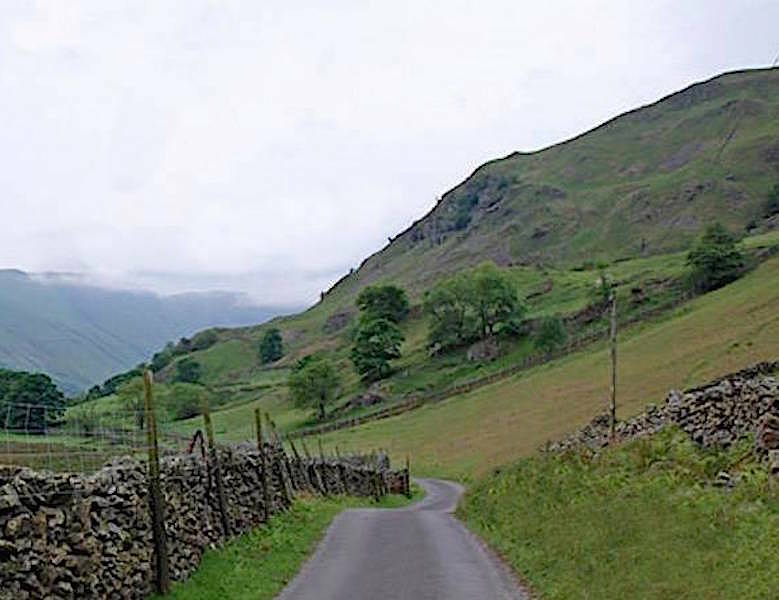 From the parking area by the old church of St Martin we follow the lane through Martindale which eventually comes to an end at Dale Head farm further up the valley. We won’t be going that far though as we are aiming to turn off to the right just beyond the wall, the path is just visible above the wall to the right. Things are looking a bit grey and gloomy at the moment but that’s fine, climbing up the path in blazing sunshine wouldn’t be all that comfortable. 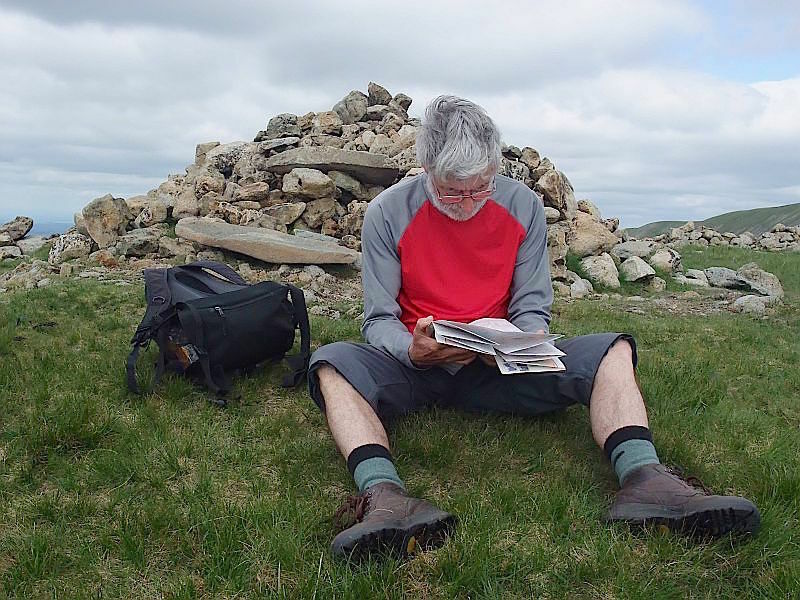 After a steep but uneventful climb we reach the ridge of Beda Fell. 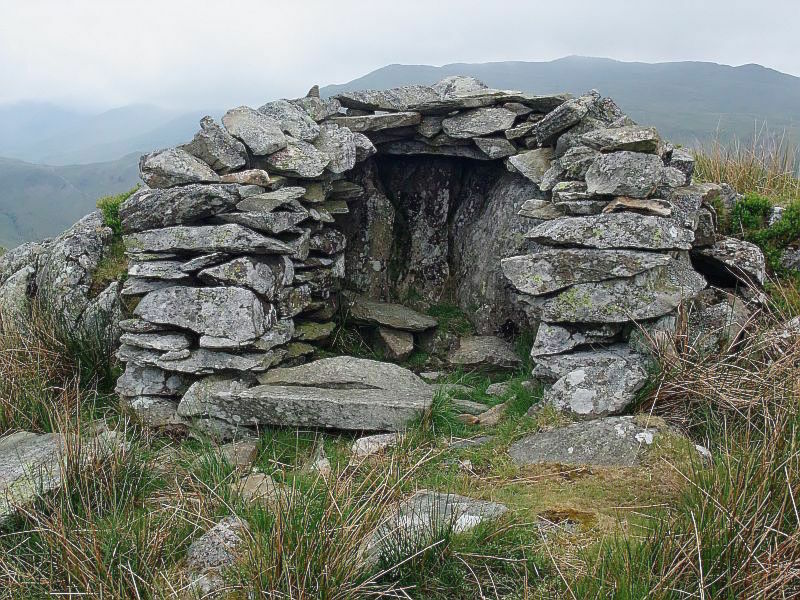 Close by the summit area is this stone shelter. 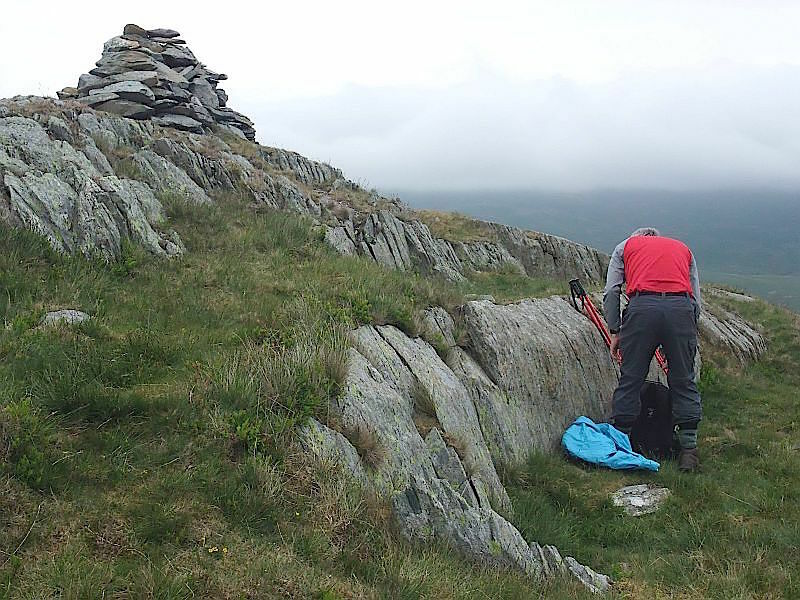 The summit cairn on Beda Head where its a bit chilly. Its time to add an extra layer now that the hard climbing is over for a while. The gloomy greyness is still with us. 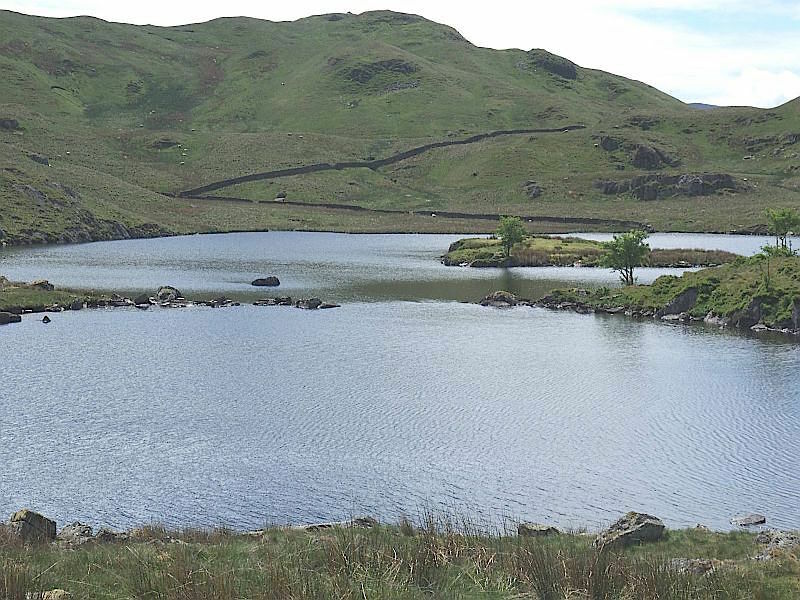 As we were walking along the ridge to Angletarn Pikes the grey clouds drifted away to the north and we were treated to some lovely views of Angle Tarn bathed in bright sunshine. 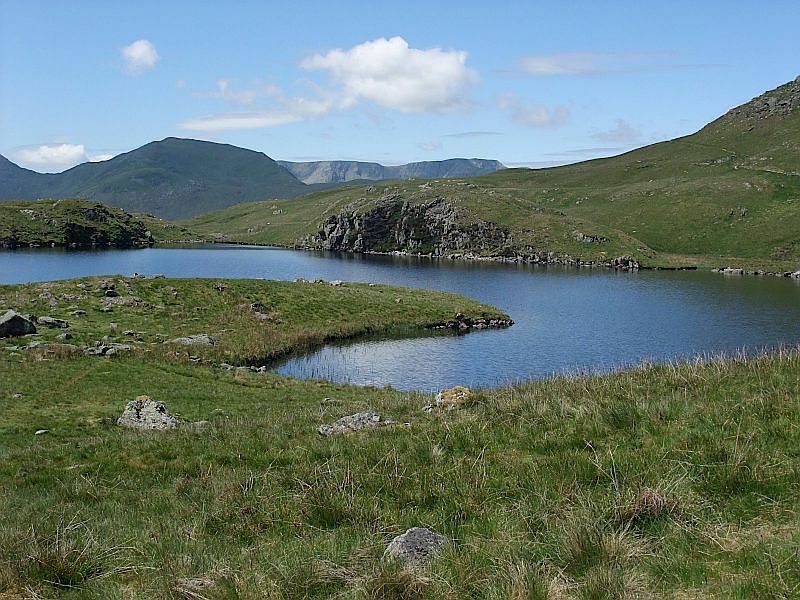 Across the tarn is our next destination, Brock Crags. 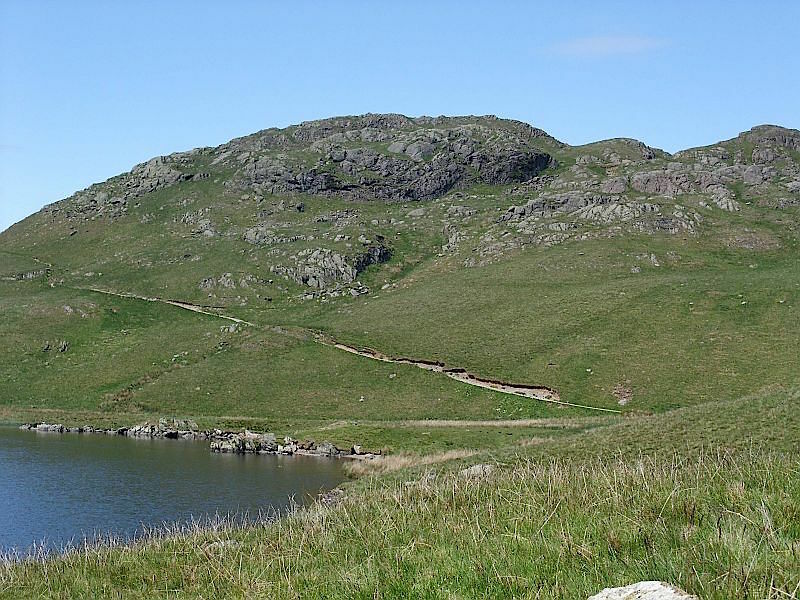 We’re intending to go around the tarn to the left of the shot, aiming for the wall which is rising diagonally across the lower slopes, and then follow the wall to roughly where it looks as though it comes to an end. From there it will a sharp left turn and straight up to the summit. Making our way around the tarn. 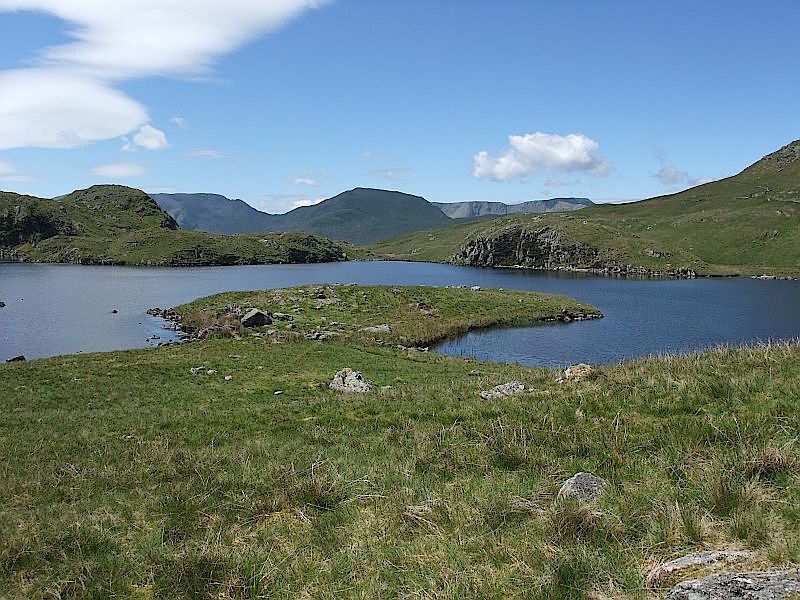 The fells on the distant skyline are, from left to right, Fairfield, Saint Sunday Crag, Nethermost Pike and Helvellyn. 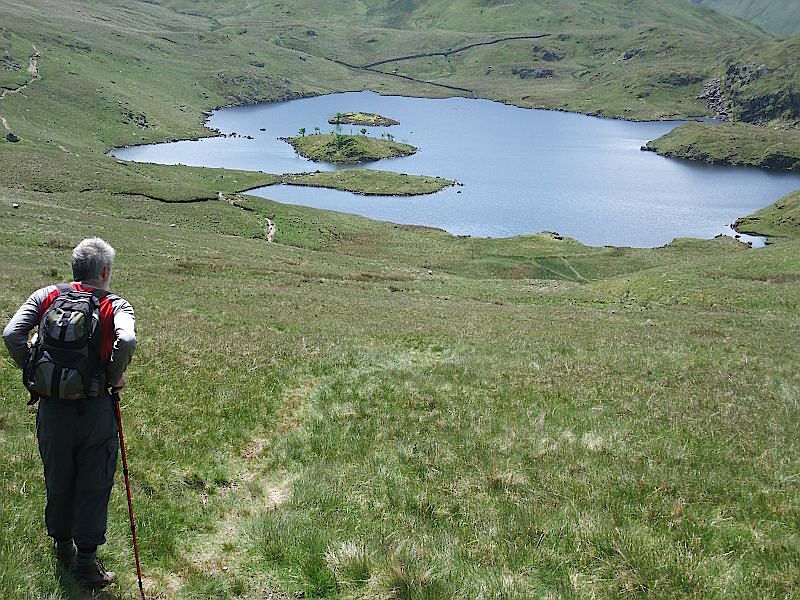 A look back at Angletarn Pikes. There are a few people around but not many, perhaps that early cloudiness made people think twice about setting out. Down there is the wall we were aiming for once we rounded the tarn, now we’re doing the hard bit, the climb to the top. 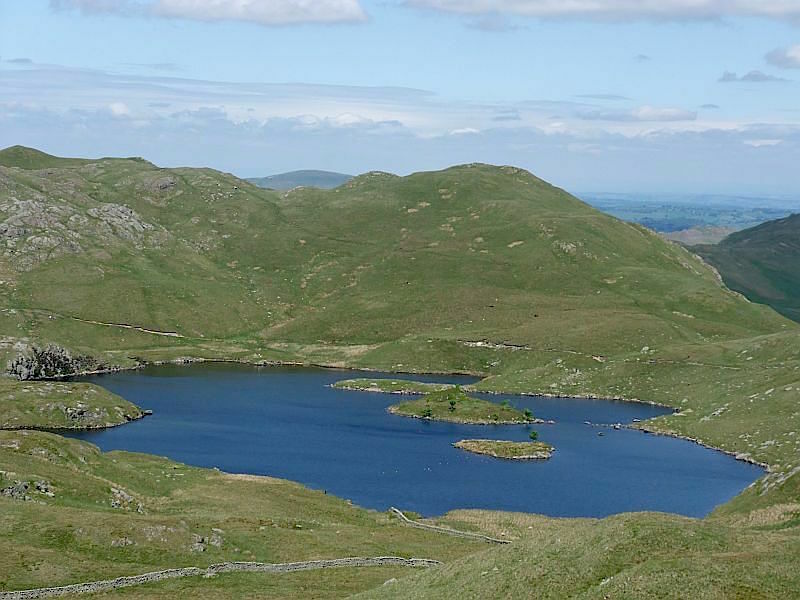 The view of Angle Tarn provides a good excuse to keep stopping. 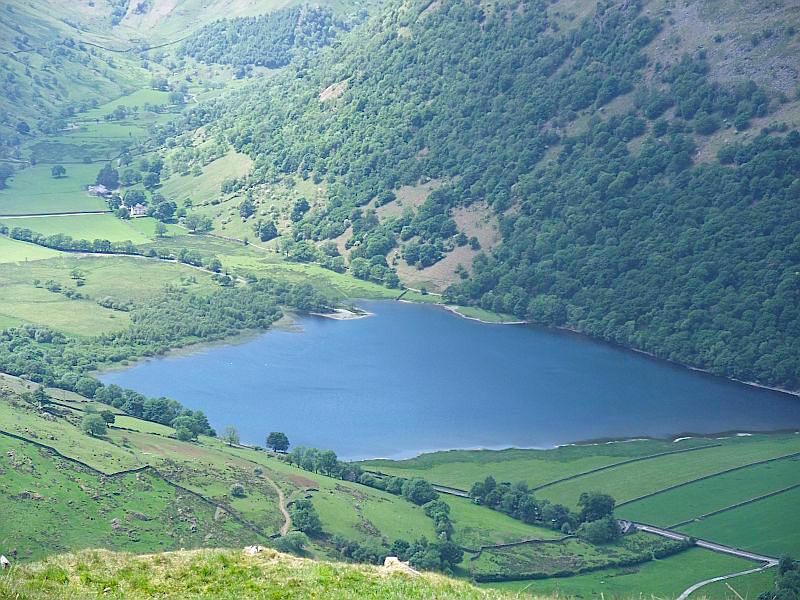 A view down to Brothers Water from Brock Crags summit. 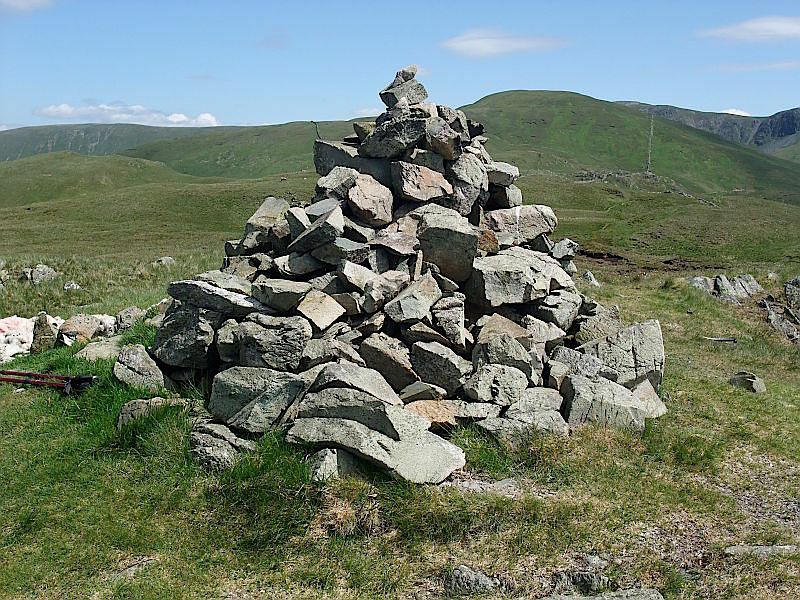 Brock Crags summit cairn with Rest Dodd right behind it. 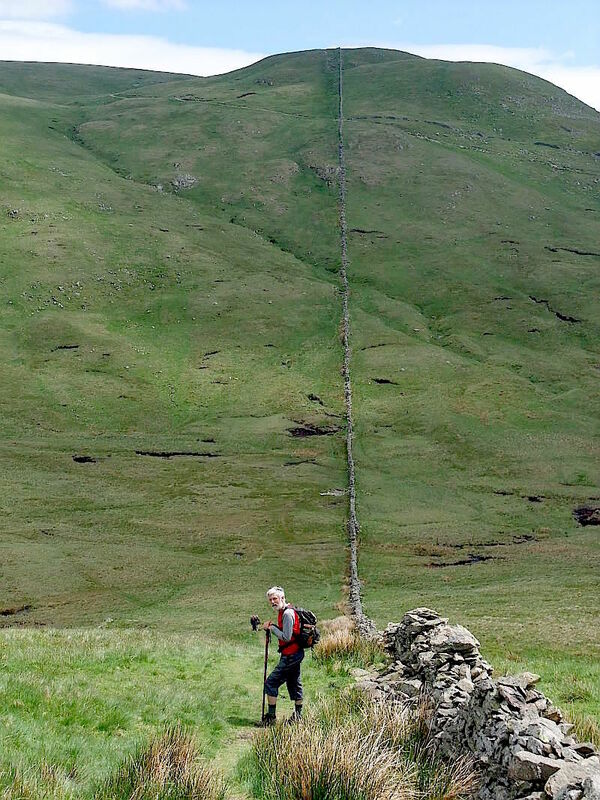 That wall on Rest Dodd is what we will follow when we start to climb up there. 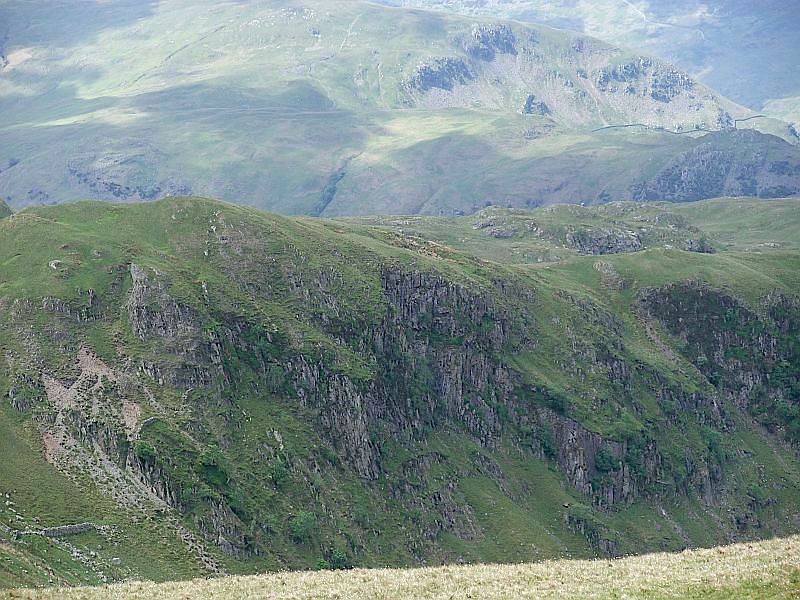 A great view of Gray Crag and High Street from Brock Crags. 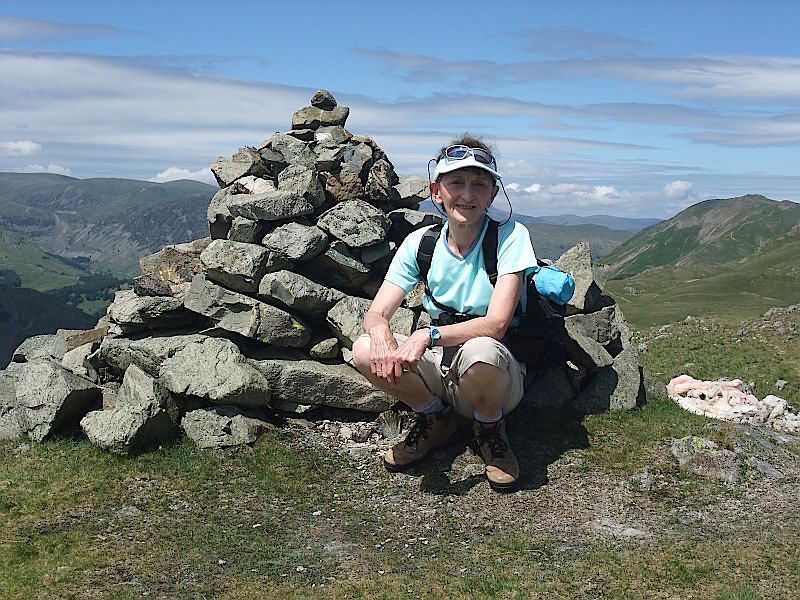 On the summit of Brock Crags with Place Fell over on the right. The earlier cloudiness is a long way behind me now. 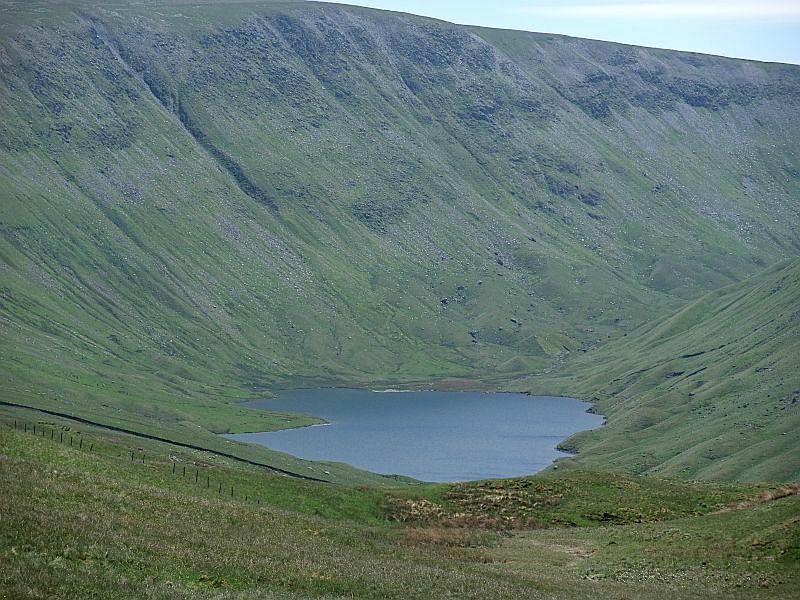 From Brock Crags a view of Hayeswater nestling below High Street. 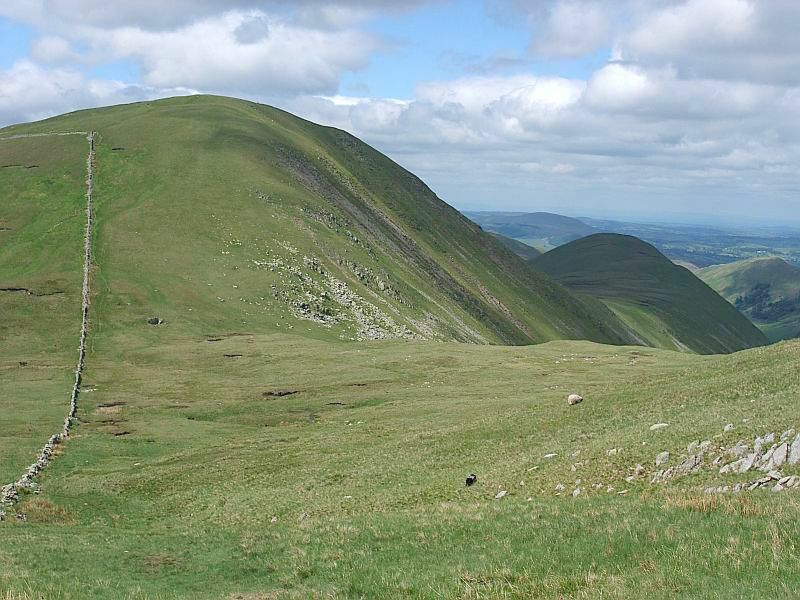 We’re on the way up to Rest Dodd now and here’s a view looking back to Satura Crags. 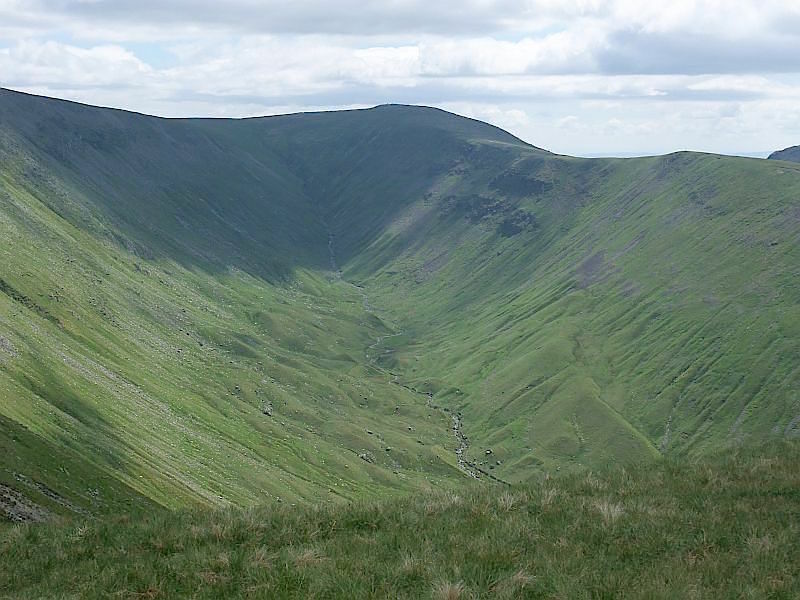 Rampsgill Head from Rest Dodd. The more you look the more those rocks morph into all kinds of weird and wonderful things. 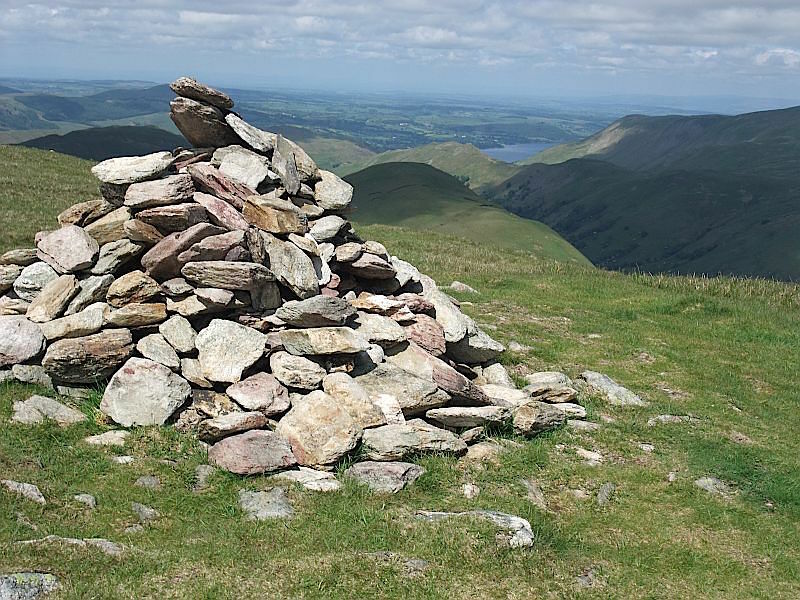 Rest Dodd summit cairn, with just a glimpse of Ullswater in the distance. Descending Rest Dodd and looking at the next ascent up to The Knott. No need for map and compass here, stick close by the wall and you can’t go astray. 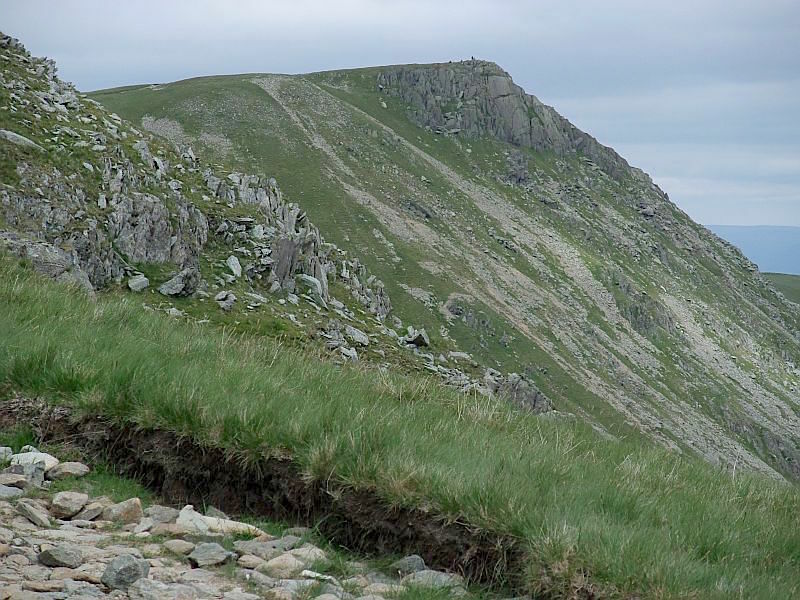 A look back at the route down from Rest Dodd as we make our way up The Knott. 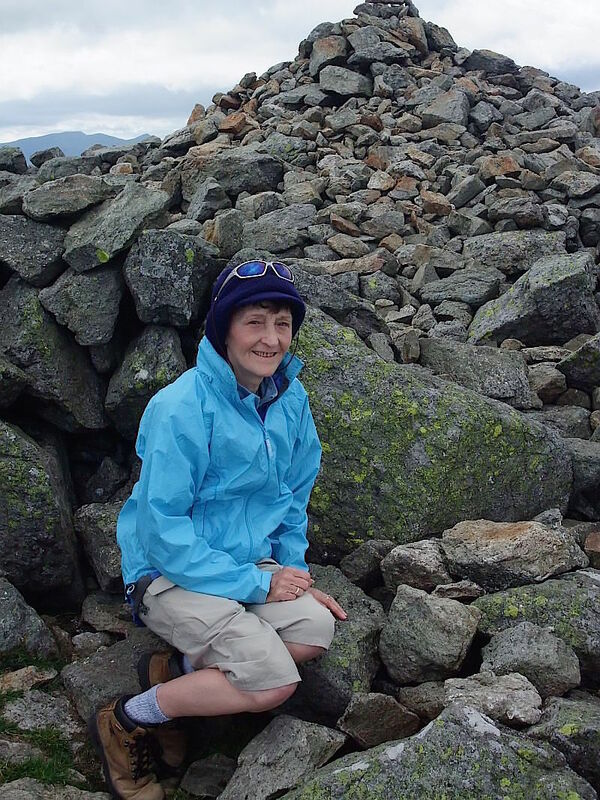 A short pit stop on The Knott. Let’s just have a look how far we still have to go. 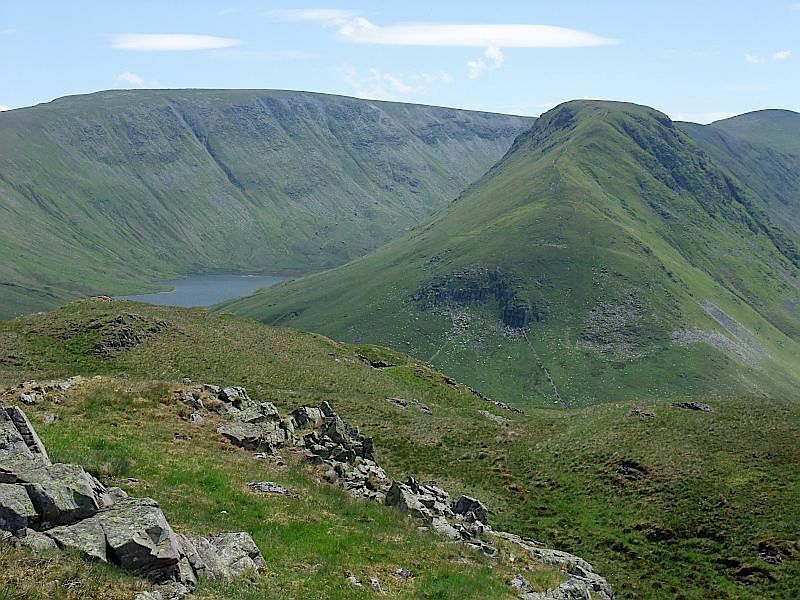 The view from The Knott along Hayeswater Gill. 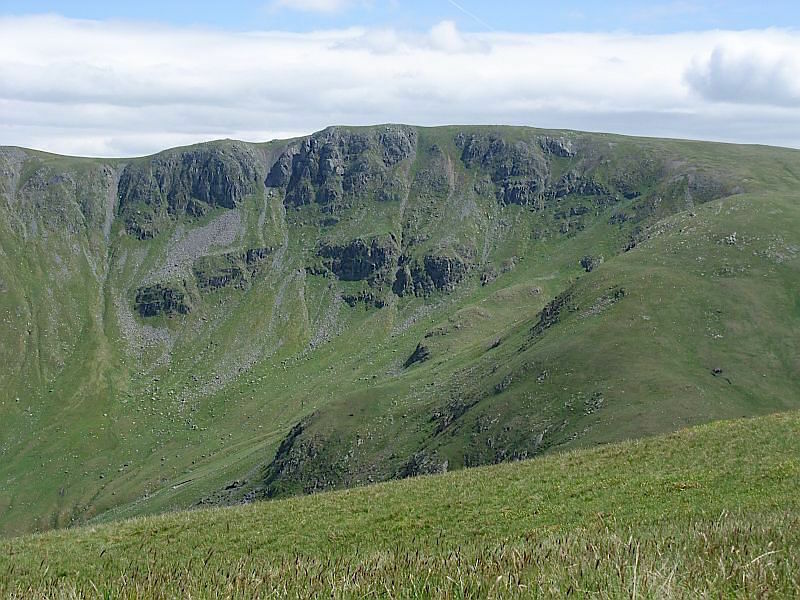 On the right is Gray Crag which rises up to Thornthwaite Crag, the high point in the centre of the shot. 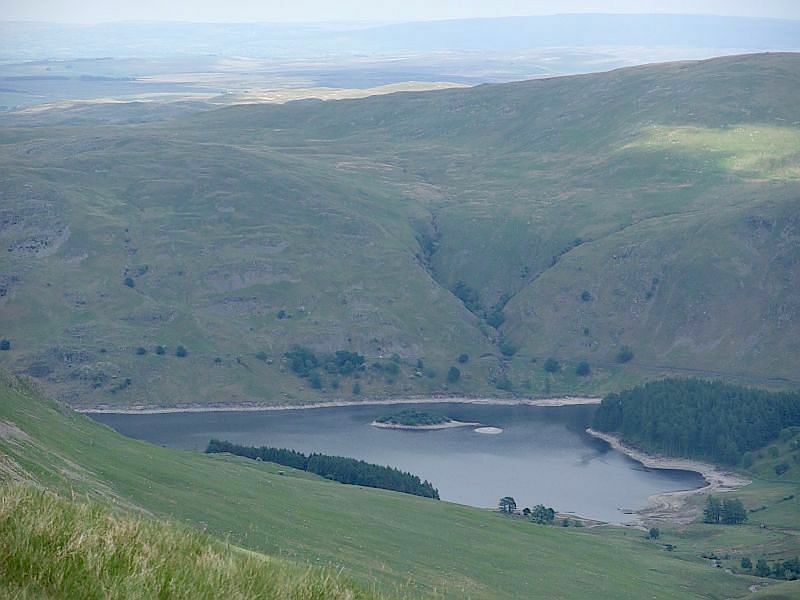 We’re making our way over to Rampsgill Head and Kidsty Pike now with a view of Haweswater down below us in Mardale. From the path a view of Kidsty Pike over on our right. 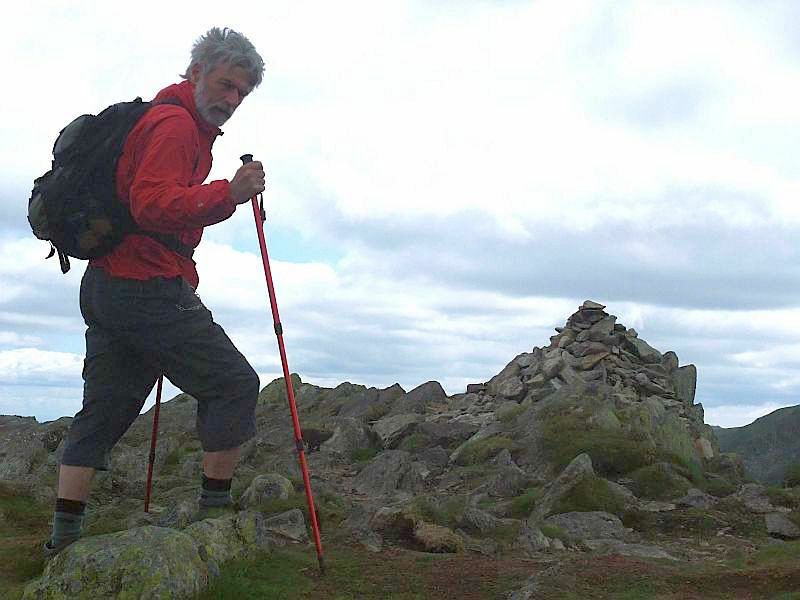 On Kidsty Pike now in a strong wind which has brought more cloud back over us. 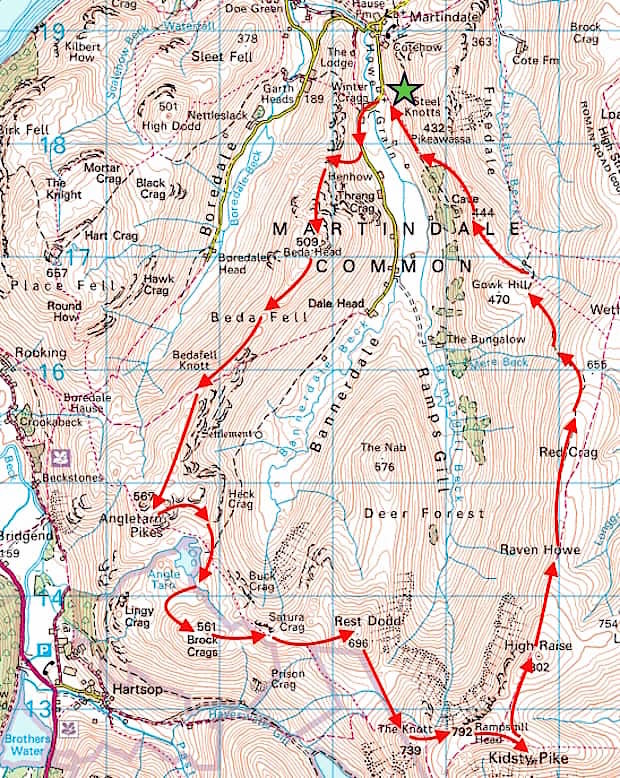 From Kidsty Pike we moved on sharpish across to High Raise. Its quite chilly now so the layers are back on and we didn’t linger. 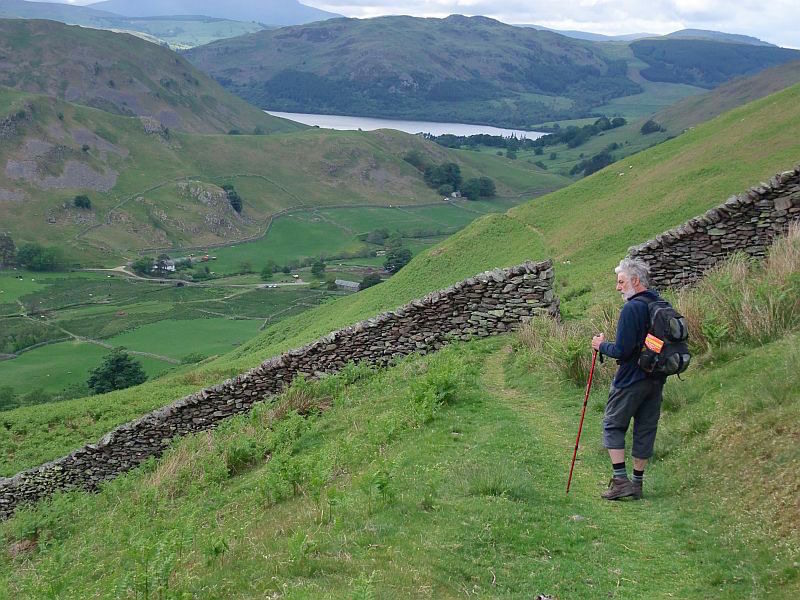 We’ve lost a good deal of height now and we’re out of the wind, so its much warmer for the descent back into Martindale along the flanks of Steel Knotts. You can see the cars in the parking area on the road between the two buildings down there to the left of the shot so we don’t have very much further to go now. Its been a great walk but my legs are pleased that the rest of it is downhill all the way.